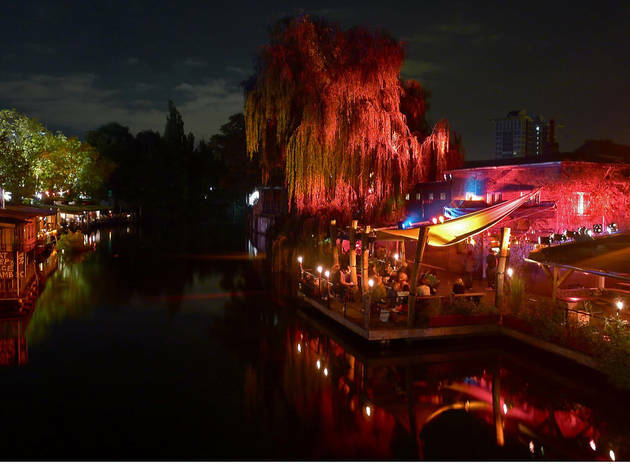 One of the first and best, this canal-side club is a great way to find out what makes Berlin so special. 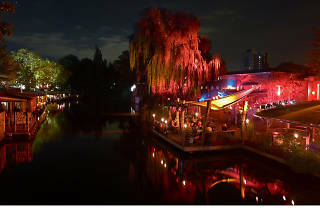 Nestled under an enormous weeping willow, it’s just out of sight of the road running between Kreuzberg and Treptower Park. There’s a small indoor dance floor and a rickety open-air area of wooden decking with a large jetty stretching out across the water. Previously a seasonal venue, in past years the roof has been sealed off, to keep going through even the coldest winter days with the help of furnace heaters. Due to intermittent fire regulation problems, the winter parties are sometimes held in the nearby Hoppetosse boat. While it’s possible to drop in midweek from 2pm for a beer, the place comes to life on the weekend, filling up with an after-hour crowd, happy to chill, drink and dance the day away.